This is a jewelry making kit on how to make a Gilt Spiral Earrings. 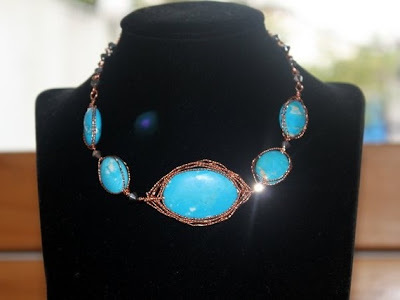 With the tutorial you’ll learn how to do basic spiraling technique that you can use and add on other several wire working techniques in creating your handmade jewelries. Not only you’ll learn but you’ll also have earrings in just minutes. This elegant necklace is made using Turquoise gemstones. The design is adapted from the herringbone wirework technique. You will also learn to twist wires through this tutorial. You can apply this technique using any gemstone or beads. I hope you will enjoy making this! Level: It is suitable for intermediate students. However, with the detailed step by step guides, a beginner should also be able to follow through. This step-by-step guide was compiled using high-resolution pictures. 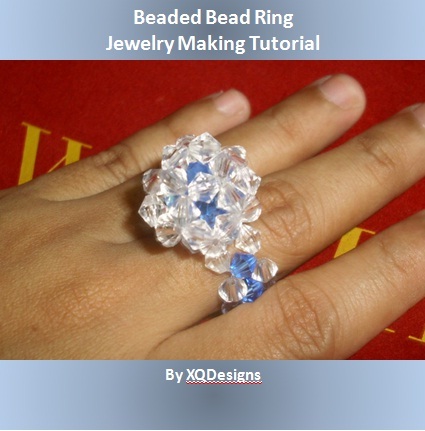 Here’s a fun and easy bead weaving technique on how to create a beaded bead ring. The Beaded Bead Ring can be worn by ladies of all ages and all occasions. You can even choose the color that you want your beaded bead ring to reflect by choosing a different color of round bead or crystal that can complement your attire, surely, wearing it will look both funky and elegant. 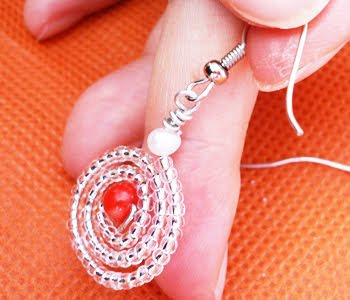 Creating the Beaded Bead Ring uses right angle weaving technique suited for beginners. The tutorial comes with detailed and clear step by step guides and pictures. Though it is designed for intermediate student, a beginner should be able to pick it up as well. This is a fun to make beading project. 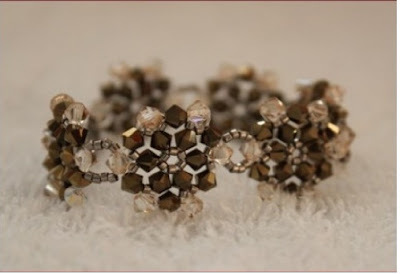 The tutorial shows you how to turn the beading pattern into bracelet and ring. It comes with pictorial step by step guides.After learning from the tutorial, you can mix and match with different colors to come up with many beautiful creations yourself. Level: It is suitable for intermediate students. However, with the detailed step by step guides, a beginner is also able to follow through. This step-by-step guide was compiled using high-resolution pictures. In this document, it also listed out the tools and materials used to achieve this creation. 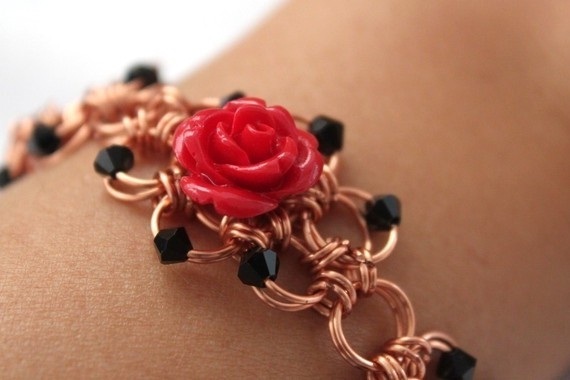 This is an interesting wire jewelry project. The design is based on chain maile or small metal rings that are linked together to form flower motifs. All motifs are then chained up together to form the bracelet. This tutorial shows you how to make jump rings using copper wire. With pictorial step by step guides it is easy to follow even for a beginner.